Yoga and essential oils go together like salt and pepper. Let’s look at all the ways we can add oils to make our yoga practice even BETTER! Throughout this page, we will make suggestions for oils and products you can use every day to support your wellness and workouts. Before we dive into specifics, let’s talk about usage and safety. AROMATICALLY: Put 6-8 drops of an oil or a combo of oils in your diffuser. 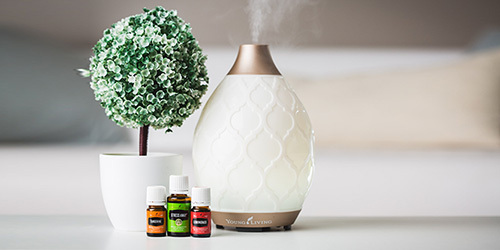 The diffuser will send the oil into the air and fill the room with your essential oils. TOPICALLY: Apply essential oils to your skin. Diluting first is recommended. A conservative dilution would one drop of essential oil with 10-15 drops of coconut, grape seed, or almond oil and then apply it to your skin. Citrus oils like Lemon are photosensitive. Please avoid sun exposure for 12 hours after application to areas where you have applied citrus oils topically. Avoid putting essentials oils in the eyes or ears directly. INTERNALLY: Young Living oils are pure and are labeled as Generally Regarded as Safe by the Food and Drug Administration. Because of their purity, some people like to ingest their oils to avoid “smelling” like an oil, or to support their body from the inside out. There is no right or wrong way. Chose one and try it out! Try out each option to see which ones you prefer. – YL picks the absolute best seeds from strong, thriving plants. – YL tests every batch multiple times throughout the process with state-of-the-art equipment. All of these factors make a huge difference in quality and effectiveness. If a batch doesn’t meet YL standards for any reason, it doesn’t get bottled up to distribute. YL would rather have something go out of stock than let an inferior product slip through to us. It’s rare to find a company with such transparency and high standards. For more info, go HERE. Getting to your mat takes a little energy! Grab a bottle of Peppermint Vitality and drop a bit onto your tongue. If it is too hot for you to put it directly into your mouth, place a drop into your palm and swipe a pinky through it. Rub onto the roof of your mouth. Many enjoy adding a drop of Peppermint Vitality to their water bottle too! Another alternative is to simply place a drop of Peppermint oil into your palm, rub your palms together and breathe in the goodness. You will be ready to go in an instant! Grab a Zyng or a Nitro to get some pep in your step. Both of these products are natural and taste great! Zyng is a carbonated beverage with Wolfberry puree, making it high in antioxidants. It also contains pear and blackberry juices, and a hint of Lime and Black Pepper essential oil, all of which gives it a very light and fresh taste. Nitro contains many health-benefiting ingredients like D-Ribose, green tea extract, mulberry leaf extract, Korean ginseng extract, and some essential oils that give you a boost of energy without the crash. Using the oils during your practice will enhance your time on the mat. The oils will help you reach the mental or physical state you want. Diffuse with a purpose: Use your diffuser and fill it with the oil(s) that will inspire you on your mat. If you can’t bring a diffuser to class. Make a spray to refresh your mat or yogitoes (yoga lat towel) before practice. Yogitoes is a type of towel for your mat, in case you have no idea what we’re talking about. Enjoy the aroma each time your nose gets near it! ~ Add 10 drops into a 2 oz. spray bottle. ~ Choose an oil that will make you smile every time you smell it! Breathwork is very important to your practice. Throughout your practice, you are instructed and often reminded to be conscious of your breath. Breathing consciously is the essence of yoga as it assists you in connecting with the subtle energy within. Focusing on your breath helps you stay present, allowing you to let go of your past and your future and stay in the moment. If you enjoy science, you will like diving deeper into what breathwork really means for your body. Unconscious breathing is controlled by the medulla oblongata in the brain stem, the primitive part of the brain. Conscious breathing is activated in the cerebral cortex of the brain. As you make your breath conscious, impulses are sent from the cortex to the connecting areas that impact emotions and create a relaxing and balancing effect on your emotions. Do you ever hear people say Yoga has helped them feel more relaxed, even if it is a physically challenging class? Conscious slow breathing is one of the reasons for this. Next time you practice, apply your oils to your chest just before your practice and focus on your breath. Notice how you feel. Dilute if you are brand new to oils. Exercising releases endorphins (happy chemicals), your breathwork sends you into a state of relaxation and emotional balance, and your essential oils can also positively affect your mood. While we need to experience a wide range of emotions, being in a good mood makes us more likely to seek new experiences, be creative, plan ahead, procreate, and adapt to changing conditions. As you inhale essential oils, the tiny molecules enter the nasal cavity and pass by the olfactory bulb. Your olfactory bulb is a part of your limbic system and therefore your response to an aroma is going to be emotional before it can be rational. There is a lot of chemistry we could present, but for the sake of saving time, we will just share that each essential oil has a unique chemical makeup. 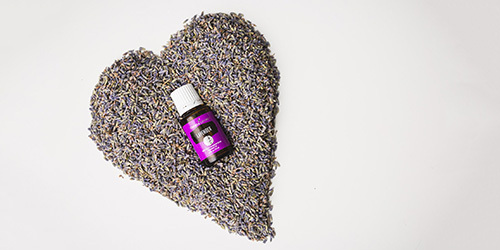 We can take advantage of that and use essential oils to improve our mood, to feel calmer or more energized, or to reach a deeper state of happiness. Savasana sprays or roll-ons are a great way to “finish” up your practice and move into a quiet space for yoga. There are many other oils and blends that can help you reach the state of mind you strive for during and at the end of your yoga practice. Choose whatever oil feels appropriate to you. You may want to consider making more than one spray or roll-on so you can choose what you need in the moment. These suggestions will help get you started in exploring. When you hold onto limiting beliefs long enough, they can actually leave tags on your DNA. Release helps us let go of anger and frustration, which often occurs when what we really want hasn’t happened yet. In a 2 oz spray bottle, add 20 drops of essential oil of your choice and top with distilled water. Add 20 drops of a single oil or a combination to a 10 ml roll-on. Fill the rest of the roll-on with a carrier oil. The mix of hot yoga studios and repeated sweat on your mat isn’t the best combo to keep things clean and fresh. Keep your mat clean so you can enjoy every practice. Make a quick mat spray you can use regularly after each practice. Fill the bottle with water and shake well before using. Another great option is to use the Thieves Spray. It is a convenient and portable plant- based essential oil spray ideal for cleaning surfaces. It is the perfect size to throw in your yoga bag. We know that you are bound to have sore muscles after an intense yoga practice. Here are some natural options that work to soothe muscles and joints. Cool Azul Pain Cream – Provides cooling relief from minor muscle and joint aches, arthritis, strains, bruises, and sprains. Formulated with two powerful, synergistic active ingredients methyl salicylate found in Wintergreen and natural menthol found in Peppermint. Cool Azul Sports Gel – Hydrate your skin with a topical cooling gel. Deep Relief Roll-On – Roll on this cooling blend to muscles and joints for quick on-the-go relief. You can also soothe those sore muscles in a hot bath. Add 5 drops of PanAway to 1-2 cups of Epsom Salts for even more release. *Available for the US market only. YL GO is like Amazon Prime but better: there are no product restrictions or weight limits; 2-4 day shipping; $10 flat rate for an upgrade to overnight shipping. 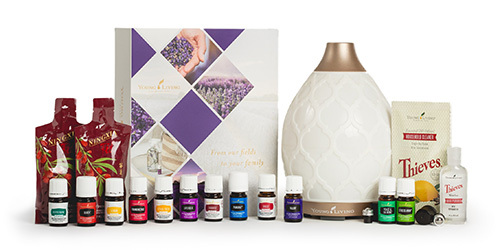 You will automatically get a LIFETIME membership with Young Living!! That means you can forever take advantage of the 24% discount! You will also have access to our private Facebook communities where we offer support, encouragement, and a place for you to ask questions! You will even have the ability to refer your friends for cash! ➕ Information obtained here is meant for educational and informational purposes ONLY, and to motivate and empower you to make your own wellness journey based on your own research and partnership with your healthcare provider. ➕The statements have not been evaluated by the Food and Drug Administration. These products are not intended to diagnose, treat, cure, or prevent any disease.